Building projects can take a more green approach with the use of recycled plastic lumber instead of traditional lumber from trees. Recycled materials have come a log way in recent years. They are affordable, durable, aesthetically pleasing, low-maintenance, and, best of all, tremendous for the environment. By taking things that used to get thrown away and making usable building materials out of them like recycled plastic lumber, homeowners can help the environment while they improve their homes. This article will explain the benefits of recycled lumber before showing you places on the Internet where you can find this remarkable material and purchase it for your next project. Recycled plastic lumber (RPL) is just what it sounds like it is: a wood-like material made out of recovered plastic. Its most popular applications at the present time are for outdoor decking and landscaping projects and for recreational uses like children's play equipment. You must be aware that plastic lumber is not as load bearing as virgin wood, so it should not be considered for structural applications. The major advantage most people think of when they think of plastic lumber is that it lasts much longer than virgin wood, but that is really just the tip of the iceberg. Check out these other advantages of plastic lumber. Durable - Because it is nonporous, it is also water and chemical resistant, graffiti resistant, insect resistant, and does not splinter or crack. This last fact makes is excellent for applications like decks, because you won't get a splinter in your foot or hand when you're outside relaxing. 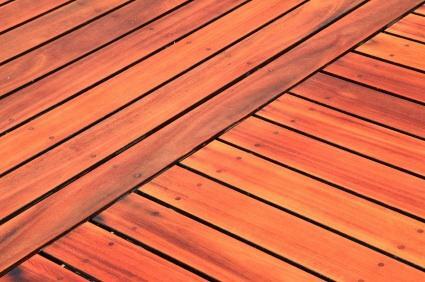 Maintenance Free - For anyone who has ever maintained a wood deck over the years, the idea of plastic lumber is appealing because there is virtually no maintenance involved. Plastic lumber comes pre-colored and has no need to be stained or painted. It also does not need to be sealed or water treated. All you really need to do to maintain plastic lumber is hose it off when it gets dirty. Environmental - Anytime you can do something to divert plastic from landfills you are doing well by the environment. Plastic lumber is becoming a major factor in reducing the amount of non-degradable plastic that gets deposited in landfills every year. At the end of its life, recycled plastic wood can be recycled again, which gives it another round of functionality. This also reduces the amount of treated virgin wood that would end up in landfills since there is no way to reuse it when its useful life is over. Economic - Many people balk at the higher purchase price of plastic wood. However, when maintenance costs, replacement costs, installation costs, and disposal costs are figured in to the equation, plastic wood actually ends up saving you money over the course of its life. Additionally, as more and more recycled lumber comes onto the market, the cost of the material is expected to continue to drop. The opposite is true for virgin wood, which is expected to continue to get more and more expensive as the supply of it continues to dwindle. Check out the following retailers to get some ideas on what kinds of materials are out there and what they cost. Plastic Lumber Yard - This business is dedicated to all things plastic lumber. They have an excellent selection and have clear and easy to read price lists. PlasTEAK - PlasTEAK is another major retailer for plastic lumber. They sell landscaping products, outdoor furniture, marine products, and raw materials that you can use to build whatever you like. The more you learn about recycled plastic lumber the more you will see how advantageous it is over virgin wood for certain applications. The next time you make a major investment to build or replace a deck or start a landscaping project, make sure you give plastic lumber some serious consideration before you buy your materials. , ears down the road, you might be glad you did.